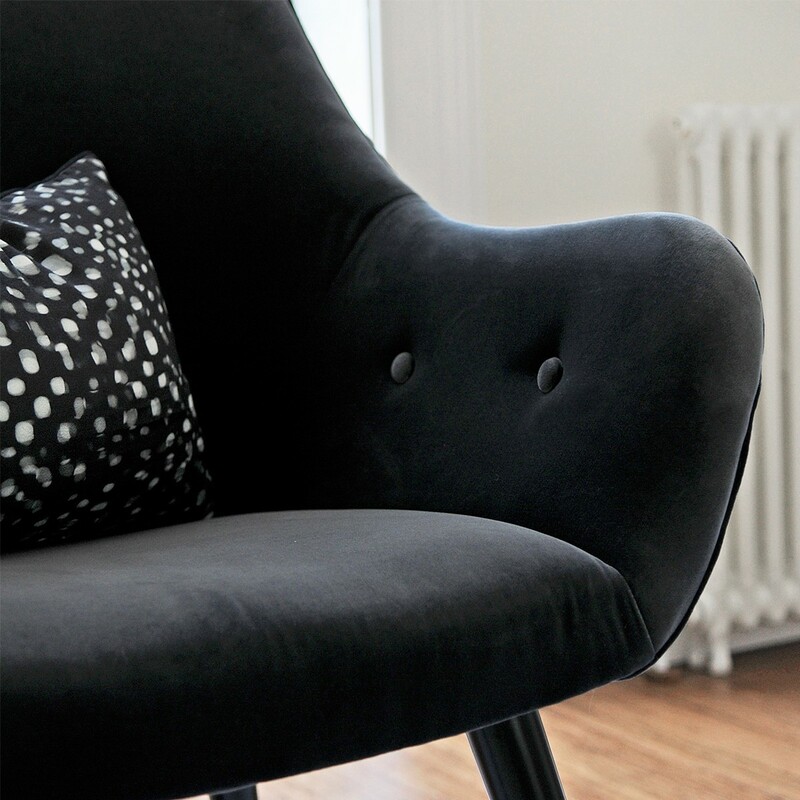 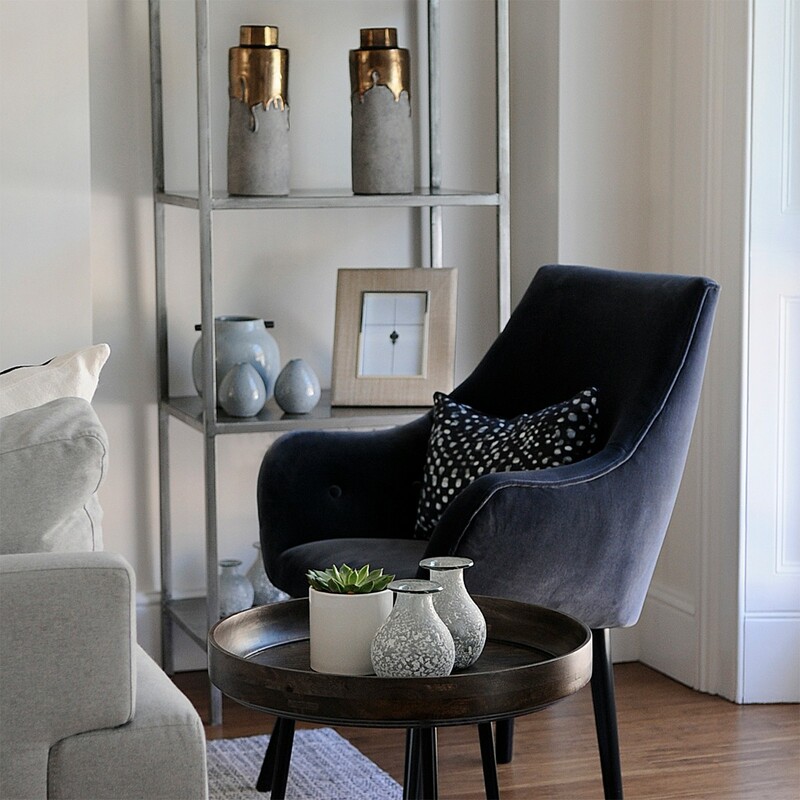 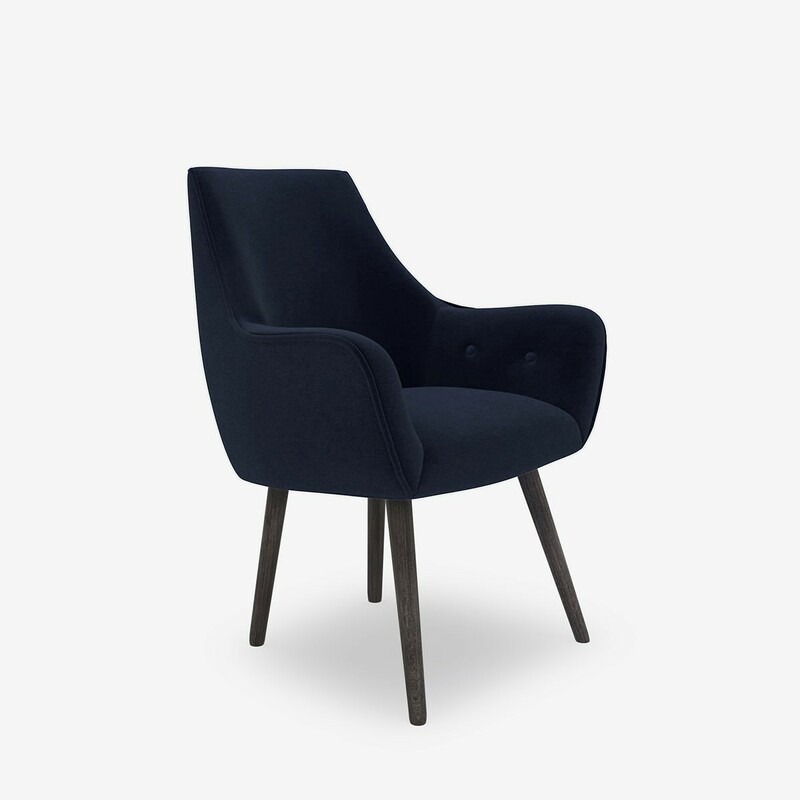 Sitting pretty, the compact Darcy Chair is the perfect choice for smaller living spaces. 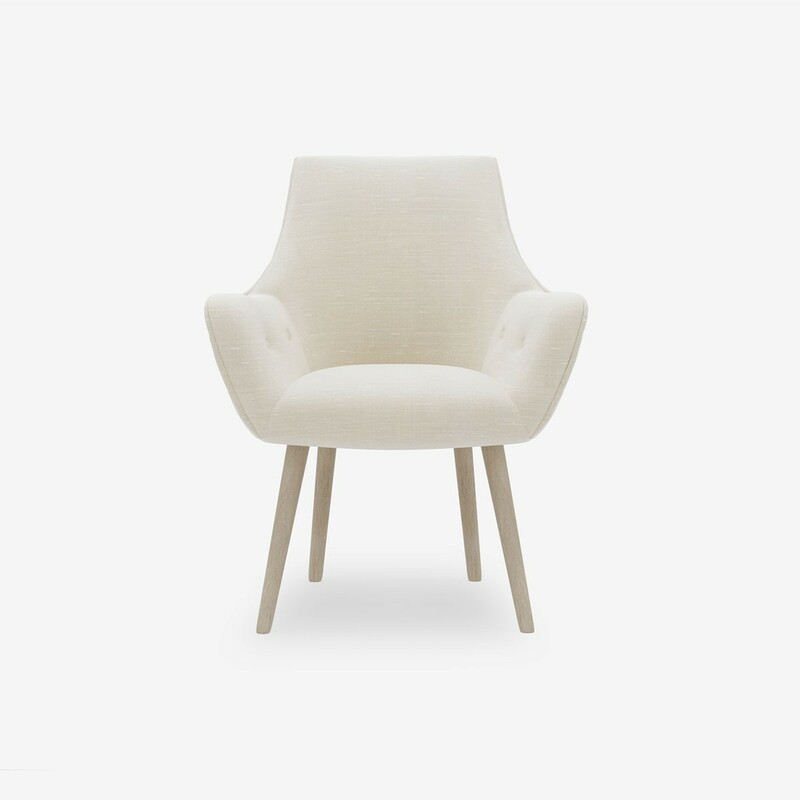 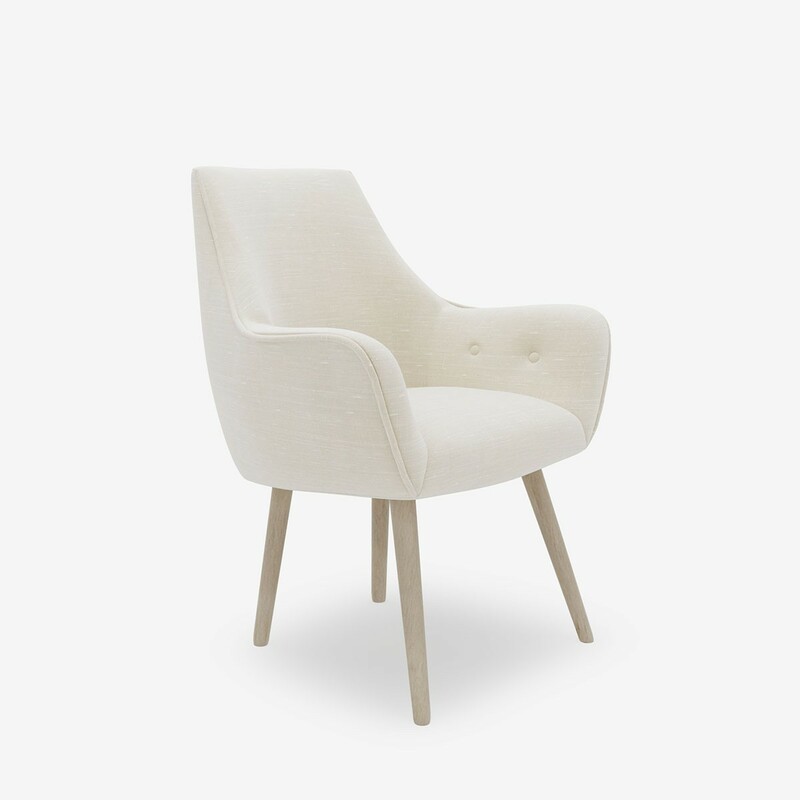 Button detailing and tapered wooden legs give it a retro feel, with low arms for sophisticated comfort. 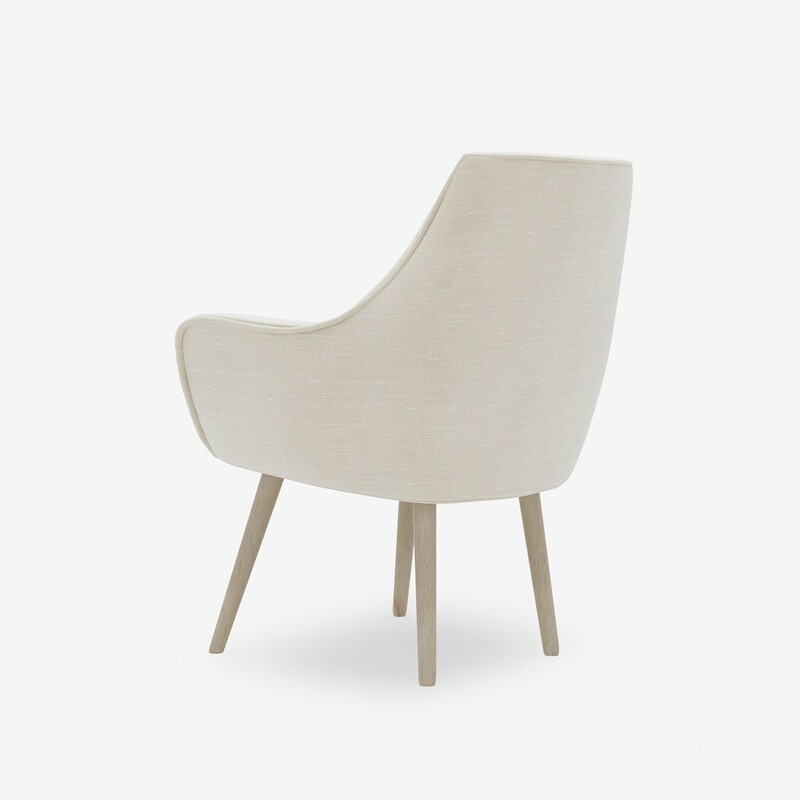 The high back design compliments a deep sofa, or use it on its own as a chic occasional chair. 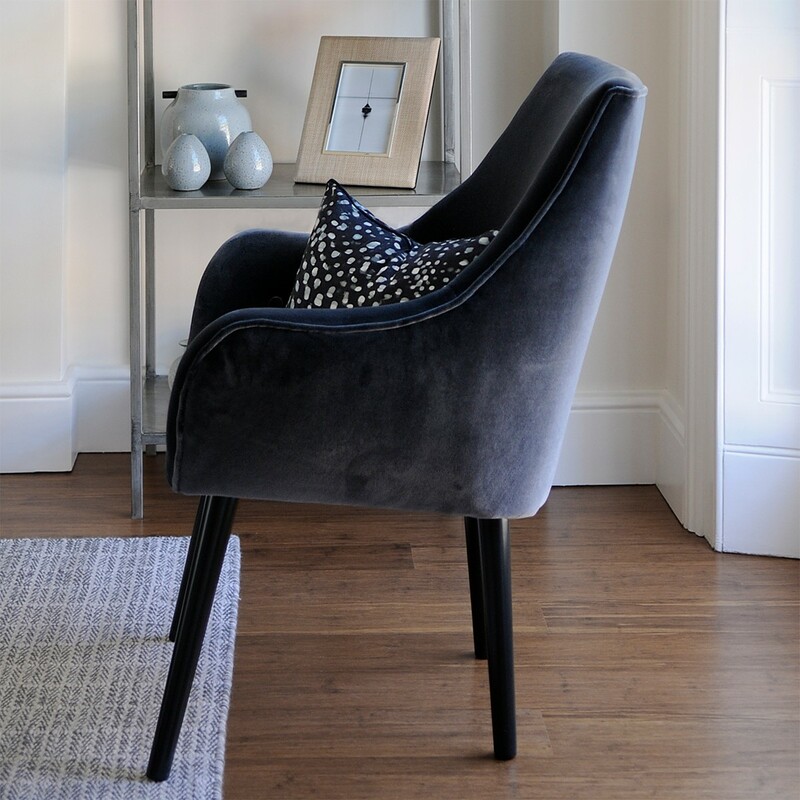 We think it works best in velvet as shown in our lifestyle shots but it also looks great in Relaxed Wool & Herringbone.